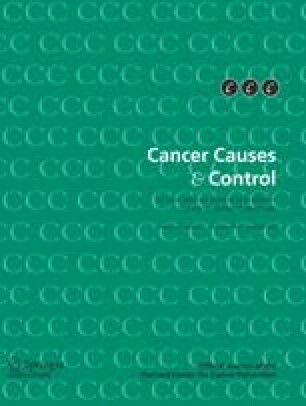 Vitamin D, a prosteroid hormone with anti-proliferative and pro-differentiation activity, is thought to act as a cancer chemopreventive agent. This study evaluated the association between vitamin D intake and breast cancer risk among women in a large prospective cohort study. A total of 34,321 postmenopausal women who had completed a questionnaire that included diet and supplement use were followed for breast cancer incidence from 1986 to 2004. Adjusted relative risks (RR) for breast cancer were calculated for dietary, supplemental, and total vitamin D intake among all women. The adjusted RR of breast cancer for women consuming >800 IU/day versus <400 IU/day total vitamin D was 0.89 (95% CI: 0.77–1.03). RRs were stronger among women with negative than positive ER or PR status. The association of high vitamin D intake with breast cancer was strongest in the first 5 years after baseline dietary assessment (RR = 0.66; 95% CI: 0.46–0.94 compared with lowest-intake group), and diminished over time. Changes in vitamin D intake over time might have contributed to the diminished association observed in later years. Vitamin D intake of >800 IU/day appears to be associated with a small decrease in risk of breast cancer among postmenopausal women. Studies evaluating all sources of vitamin D, especially sun exposure, are needed to fully understand the association between vitamin D and breast cancer risk. The authors thank Aaron R. Folsom, MD, MPH for providing the Iowa Women’s Health Study data, and Ching Ping Hong, MS, and Lisa Harnack, DrPH, RD for consultation and assistance in data preparation prior to analysis. Funding: Funding for the Iowa Women’s Health Study was provided by the National Cancer Institute (R01 CA039742).